Aireon Announces Successful Deployment of Iridium NEXT - VPT, Inc.
January 15, 2019 – Aireon announced that the Iridium NEXT constellation hosting its space-based Automatic Dependent Surveillance-Broadcast (ADS-B) is now complete. The eighth and final batch of Iridium NEXT satellites were successfully launched on January 11th on board a SpaceX Falcon 9 rocket from Vandenberg Air Force Base. With this launch of ten satellites, the number of payloads Aireon has in orbit is now 75 – 66 operational and nine spares – with an additional six ground spares. Aireon is the world’s first complete global air traffic surveillance system, covering 100% of the globe. 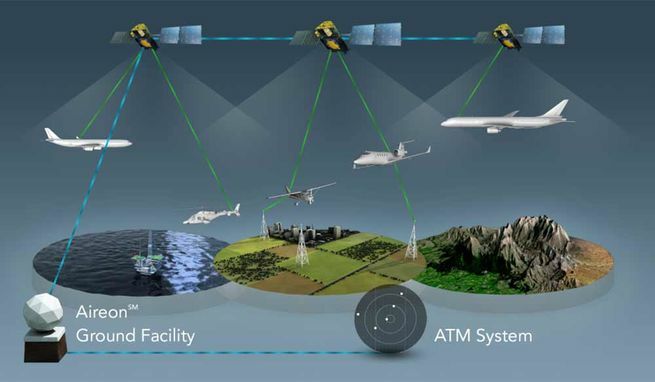 Their space-based ADS-B system will enable real-time air traffic surveillance, providing the precise location of all craft in flight, eliminating blind-spots. This is expected to result in more efficient flight routes, more accurate arrival and departure estimations, increased safety, faster emergency response times, and a decrease in CO2 emissions. Now that the satellite constellation is complete, final integration and testing of the payloads will begin. After which, the Aireon system is expected to become operational, though no exact timeframe for its implementation has been given. VPT is proud to have parts on board this ground-breaking technology that will soon improve air traffic surveillance. We congratulate Aireon and Iridium on the successful launch and deployment of the Iridium NEXT constellation. To learn more about Aireon’s ADS-B, please watch this video.